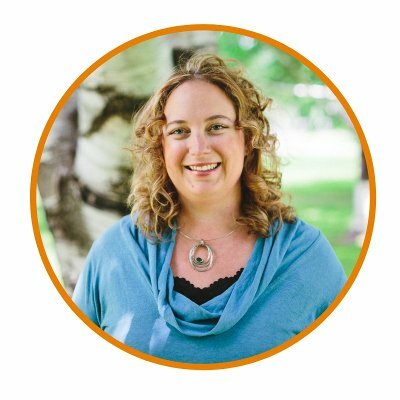 I've noticed that when people start taking herbs and then experience a negative health change, the herbs are often the first thing blamed. A person takes herbs in the morning and then they have a headache that night. Was it the herbs? Or they started taking herbs last week and now they have hives. Was it the herbs? It's easy to blame the herbs. Often times herbs are a strange new addition to a person's life. People can easily remember this new aspect of their life, which makes it easier to point the finger in that direction. Sometimes it is the herbs and sometimes it's not. The reality is that there are so many variables in a person’s day that it is difficult to say with certainty what exactly happened. The person could have eaten bad food, had a super stressful day, didn’t get a restful night of sleep, started eating something new, got a new detergent, and on and on and on. When trying to determine a causal relationship the general rule of thumb is to try something three times. If you get the same result after three times of trying it, then statistically it is most likely the herbs rather than some other factor in your life may be responsible. Try the herbs once. I always recommend starting at a very low dose. If you notice a negative reaction, then stop taking the herbs for a few days. Once all symptoms are gone, try the herbs again. If you notice a negative reaction, then stop taking the herbs. If you don’t notice a negative reaction, then continue with the herbs as planned. 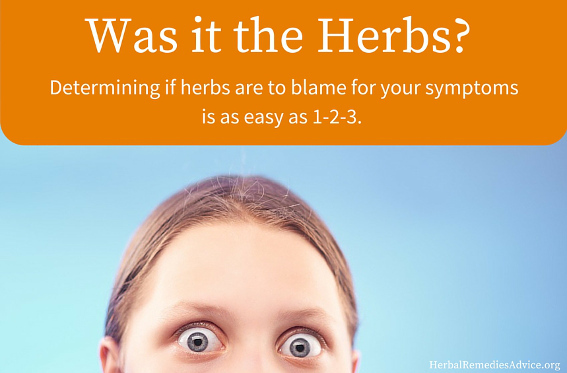 If you have taken herbs twice and noticed the same negative reaction both times, then wait until the symptoms are gone and try the herbs one more time. Note the changes. If you try herbs three times and each time there is a consistent unwanted effect, chances are good that your body is negatively reacting to the herbs and there are more likely better choices for you. Note: it needs to be the same symptoms. If you try herbs one day and you get a headache, then the second time a stomach ache then there is probably something else going on. If you tried the herbs three times and had the same negative result but are really excited about these particular herbs you can wait a few weeks and go through the process again. Sometimes reducing the dosage of the herbs can be helpful at relieving unwanted symptoms as well. 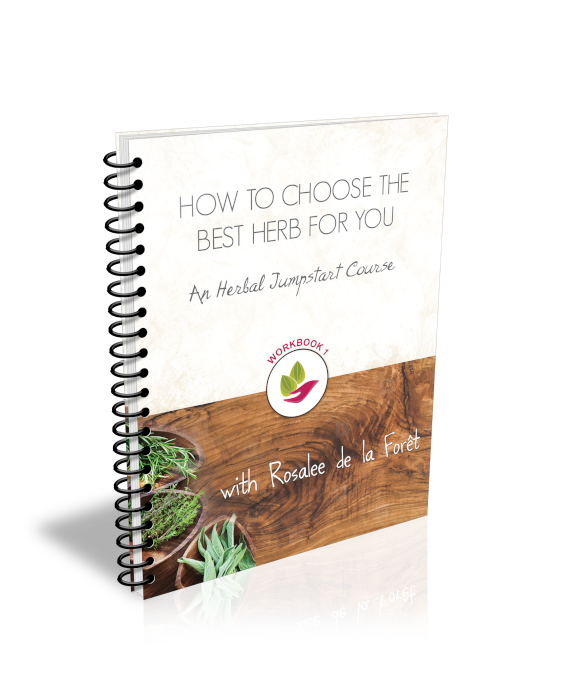 Another practice that is helpful during this trial phase of taking new herbs is to keep a diary to note any other changes in your diet, lifestyle, etc. If one of my clients suspects a negative reaction to an herb after trying it only once, I always recommend trying it three times. The vast majority of the time it is not the herbs causing the problem. So keep that in mind. Trying something new one time and experiencing a negative reaction does not always mean there was a direct correlation. Of course common sense has to be employed here. If a reaction was severe or if the unwanted effect is easily explained, once could be enough. For example, garlic is an emetic herb. That means that when taken in excess it will make you throw up. If you juice ten cloves of garlic and drink it up, you will puke. You probably don't have to test that three times. Most herbs are incredibly safe and non-toxic. The most common unwanted effects from herbs are nausea and headaches. Most often the unwanted symptoms go away once the herbs are stopped. Oftentimes a lower dosage can also help.